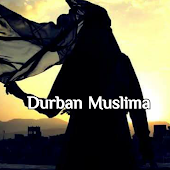 Durban Muslima: Would You Reject a Proposal from Khadijah رضي الله عنها ? Would You Reject a Proposal from Khadijah رضي الله عنها ? To my fellow young brothers seeking marriage, ask yourself an honest question. If a sister were to offer you a proposal, and she was wealthier, more educated, and more accomplished than you, but older as well and previously widowed (or divorced) with children, would you seriouslyconsider that proposal? And would your family approve or be supportive of that kind of proposal? It's not surprising if your answer is no – and perhaps you have some legitimate concerns, but I would wager that most brothers would probably reject that proposal in a heartbeat because that's not the kind of woman they or their parents envision when they think of the ideal spouse. But if the question is reworded to, “Would you consider a proposal from Khadijah رضي الله عنها ?” the answer suddenly changes – what brother would say no to this hypothetical, out of reverence for one of the most honored mothers of our ummah – but considering the previous question asked, this answer feels disingenuous because truthfully, in our day and age, women with the same disposition as Khadijah رضي الله عنها have immense difficulty trying to marry. Place yourself in the mindset of a young Muḥammad صل الله عليه وسلم and for just this moment consider how radically different his sunnah was from the current stigmatization of sisters in the same position as Khadijah رضي الله عنها . A sister's age is a huge determinant of her eligibility, as societal constructs strike points against her for merely being older. Our cultural norms and traditional standards dictate that wives should always be younger than their husbands, and age gaps as wide as a decade between them are still seen as acceptable, whereas a wife who is more than a couple of years older is seen as an anomaly – something unusual and frowned upon. To add to the pressure, the notion of “biological clocks” is usually brought up as the supporting argument for why elder sisters are seen as less desirable, because apparently a woman's fertility is somehow paramount to the success of her relationship. As a medical student, I can see how this could be a legitimate concern when a woman is reaching physiological menopause or when her advanced age could increase the risk of fetal congenital conditions, but simply as a man – a sister's fertility is not something she can control on demand, and to dismiss her as arbitrarily being “past her prime” is not only hurtful and insensitive, but demeaning to her womanhood. Khadijah رضي الله عنها reported to be older than the Prophet صل الله عليه وسلم , and our beloved Rasul صل الله عليه و سلم not repulsed in the slightest by that fact, nor did he call into question her fertility or subtly suggest that she was past her prime – he nobly reciprocated her respect for him. It's depressing to see us brothers being such vocal champions of women's education and independence, yet turning around and finding these same accomplished sisters to be ineligible as prospects because they lack our cultural criteria of “ideal marriage material.” It would seem that the notion of a strong, financially-independent, career-oriented woman is stigmatized as the antithesis of an ideal mother – that their careers or their ambitions somehow make them less capable of being mothers or inadequate in fulfilling traditional roles as wives. And this false pervasive sentiment of ours has contributed to a sad reality – the most accomplished and successful sisters who spend their youth pursuing lengthy degrees and chasing big careers are most often the ones snubbed in favor of younger sisters who are more traditionally housewife-oriented. It's not surprising to hear concerns that a wife who is more educated or wealthier is seen as a threat to traditional roles of a husband being the provider of a family – and perhaps this reveals a deeper, more internal issue of a more successful or smarter wife being a blow to a man's sense of manhood and ego. As if marriage is a competition and her success emasculates his own accomplishments. Khadijah رضي الله عنها was one of the wealthiest women of Quraysh; a sharply intelligent businesswoman who was a leader in her trade. In comparison the Prophet صل الله عليه وسلم was unable to read, was far less accomplished, much poorer, and he worked under her as an employee. And for the Prophet Muḥammad صل الله عليه وسلم to be in such a low position relative to Khadijah رضي الله عنها and consider her proposal without a single negative thought of his own ego or manhood speaks volumes about our own modern-day male insecurities. It's difficult to even imagine the stress and emotional pain that couples go through when they divorce, or worse even when sisters become widows. And it's truly a shame that of all the matrimonial prospects, the ones most stigmatized are elder sisters who are divorcees or widows, especially those who already have children. It's completely understandable that a lot of brothers may be wary of divorcees and unwilling to consider prospects who already have children due to all of the additional issues and complications that arise, but often the systemic cultural shunning and sheer difficulty of re-marrying compounds the emotional struggles and vulnerability that these sisters have when trying to rebuild their lives. Khadijah رضي الله عنها had gone through two prior marriages, bearing children through each, and was left widowed upon the death of her second husband. Despite this heavy emotional toll, its incredible to note how patient and confident she was in not only choosing to marry a third time, but breaking tradition by proposing to Prophet Muḥammad صل الله عليه وسلم in a culture where men proposing to women was considered the proper standard. The Prophet's صل الله عليه و سلم acceptance of her in spite of her past is a striking lesson to our current generation that we should elevate ourselves from the mire of backwards perceptions about our women, and offer greater protection and support for those who may have pasts, or who are vulnerable, alone, or unable to provide for themselves.